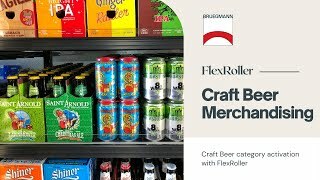 FlexRoller was originally developed for beverages. 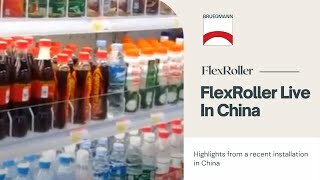 Therefore it is the category that benefits the most from the FlexRoller merchandising system. 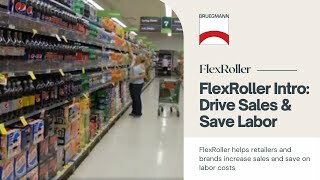 The following survey among store mangers shows the main benefits. 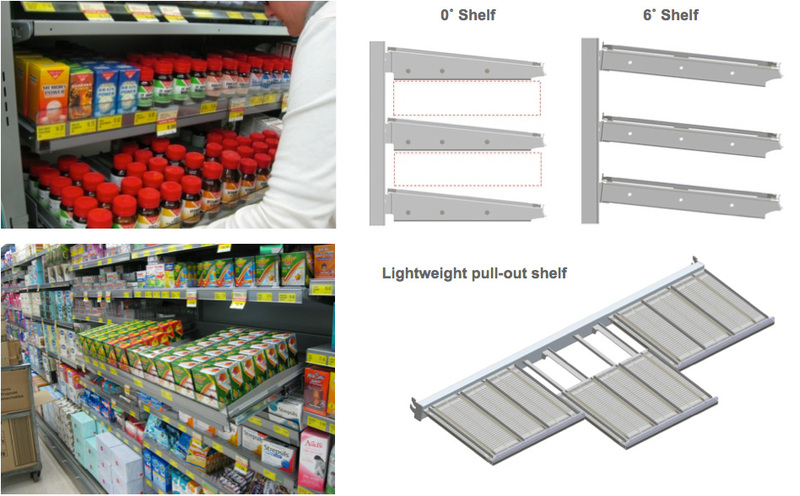 Sales increased 12% through having the right product at the shelf edge providing accessibility for the shopper making it easy for the shopper to replace any incorrectly selected product. 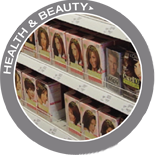 Additionally there has been a 28% reduction in damaged packaging which improved shopper satisfaction and profitability for the retailer. 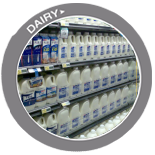 It is difficult to keep the dairy cooler fronted, clean and organized at all times due to the fast turnover and large packages. 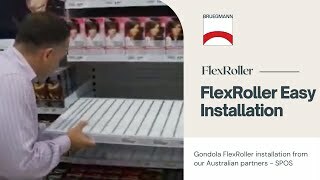 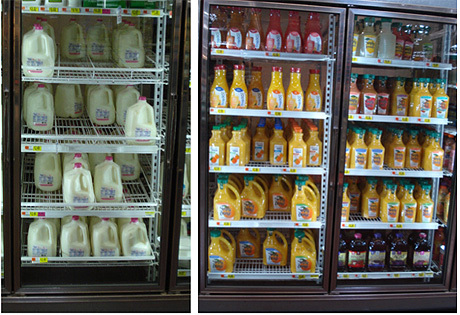 FlexRoller will ensure a dairy shelf that looks great at any time of the day even 5 hours after the last restocking. 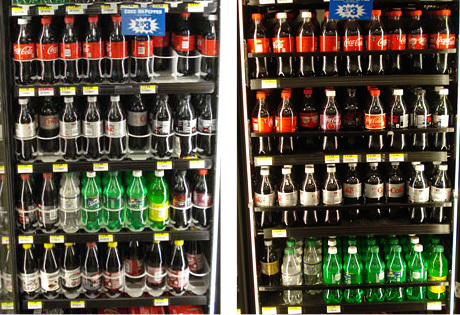 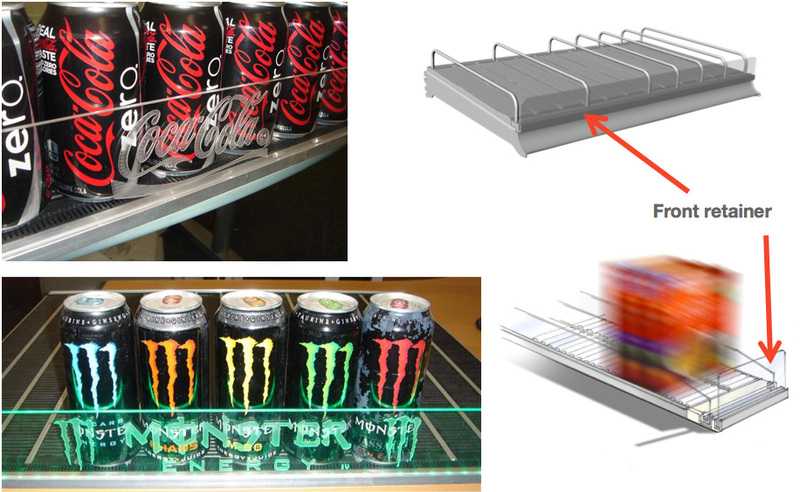 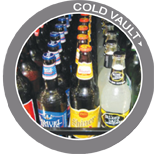 It is difficult to keep the cold vault fronted, clean and organized at all times due to the fast turnover of beverages. 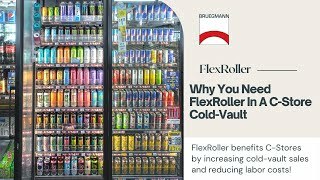 FlexRoller will ensure a cold vault shelf that looks great at any time of the day even 5 hours after the last restocking. 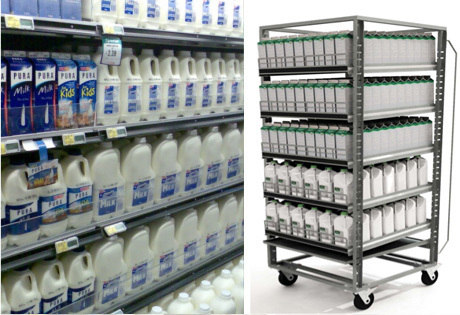 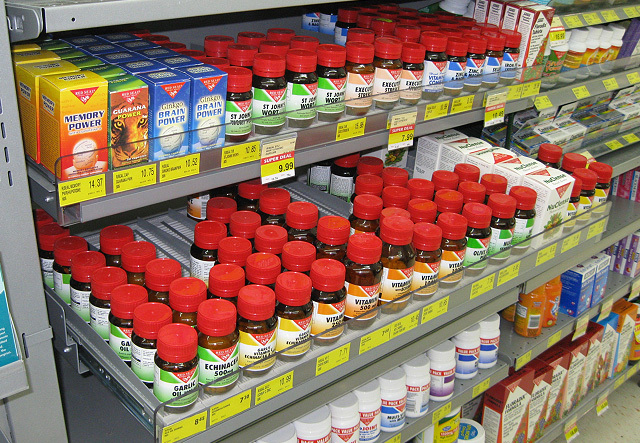 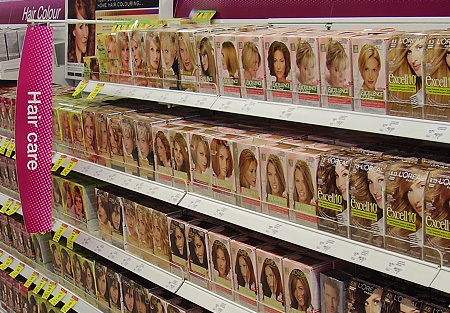 Sales have increased 18% through having the right product at the shelf edge providing accessibility for the shopper. 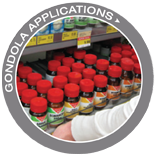 Additionally there has been a 30% reduction in damaged packaging which improved shopper satisfaction and profitability for the retailer. 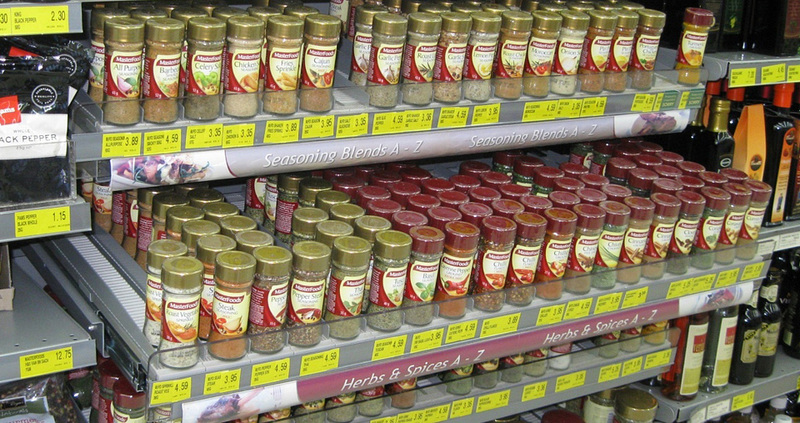 Convey a strong brand message at the point where the shopper decides. 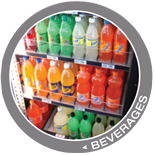 Merchandise products with limited shelf life so that there is less waste – first in/first-out. 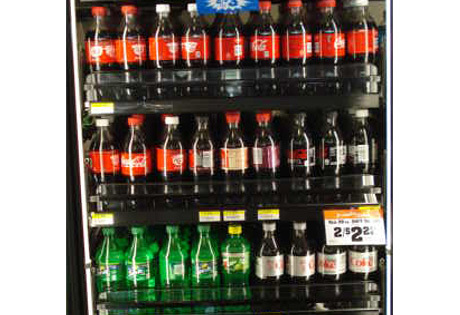 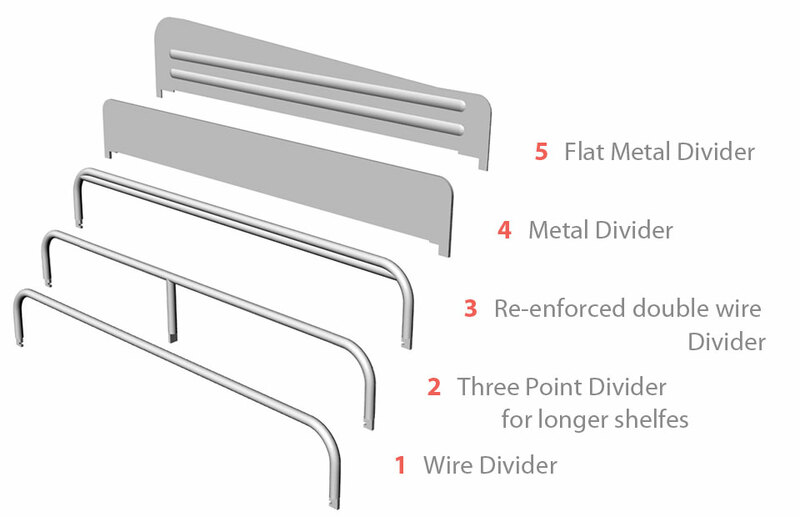 Use the divider that best fits the product category. 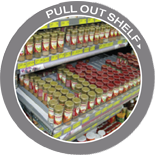 The best shelf for the right category.